I apologize in advance for this post being so long, but I wanted to acknowledge those who offered support along the way. When I was diagnosed with breast cancer in 2011, I never imagined that I would one day be fighting for a law that would notify people in North Dakota following mammography if they had dense breast tissue. It was a tough challenge, much like my breast cancer battle, but after overcoming a Do Not Pass recommendation from both….. I am thrilled to let you know that ND HB 1370-Mammography Results Notices Regarding Dense Breast Tissue passed the ND Senate on a vote of 33-13, 1 Not Voting this afternoon and is headed to Gov. Dalrymple’s desk for signature. Because the bill has an emergency clause, when he signs it into law, it becomes effective immediately. I want to thank everyone for their support of this important health-related legislation. I am grateful to all who took time to reach….. I am happy to report that ND Engrossed House Bill No. 1370 passed the ND House of Representatives this afternoon on a vote of 85-8! To say that the past 2 weeks has been a roller coaster ride is a major understatement. The next hurdle is to shepherd the bill through the ND Senate, so the journey continues for this important health legislation. To the many people in North Dakota who took time to contact their representatives, thank you for….. I wanted to share this TV coverage about my testimony to the ND House Human Services Committee, which occurred Wed., Jan. 28th in Bismarck. Many thanks to Chet Miller for driving me to Bismarck and back so I could appear in person at the hearing. Also a sincere thanks to Rep. Pamela Anderson, Rep. Kathy Hawken, Rep. Alisa Mitskog, Rep. Marie Strinden, and Sen. Carolyn C. Nelson for co-sponsoring and introducing ND House Bill No. 1370 – Mammography…..
For those who may not have seen the news coverage about the ND House Human Services Committee hearing on House Bill No. 1370 – Mammography Result Notices, I have provided a link to the KFYR TV coverage out of Bismarck. I would encourage you to reach out to your legislators, the ND House Human Services Committee Members, and co-sponsors of the bill to ask for their support of this bill. It could save lives in our state. Thank….. The quest continues to do the right thing in terms of notification of breast density to all North Dakotans undergoing a mammogram – to tell them if they have dense breast tissue, so they can find potential breast cancer at its earliest stage. Knowing you have dense breast tissue could save your life, save trauma to your body, and could save millions of healthcare dollars. The cost of additional testing will pale in comparison to treating advanced stage….. I am happy to report that ND House Bill No. 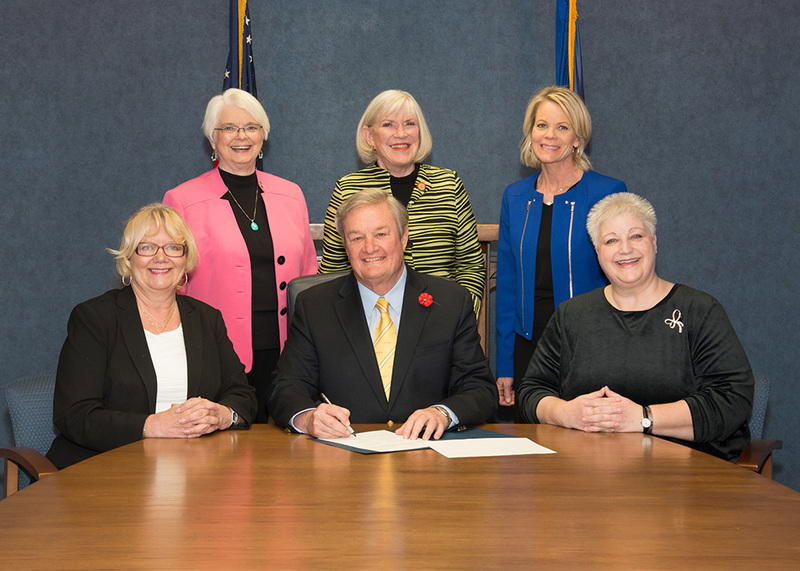 1370 – Mammography Result Notices legislation was introduced in the North Dakota House of Representatives this past week. The introduced bill can be found at http://www.legis.nd.gov/assembly/64-2015/documents/15-0766-01000.pdf?20150124174342. For those of you who have met me, listened to me speak, or helped me in completing outreach about getting this legislation introduced so it could potentially become…..